Offering you a complete choice of products which include Nonstick Cookware Set, Stainless Steel Cookware Set and Aluminum Cookware Set. 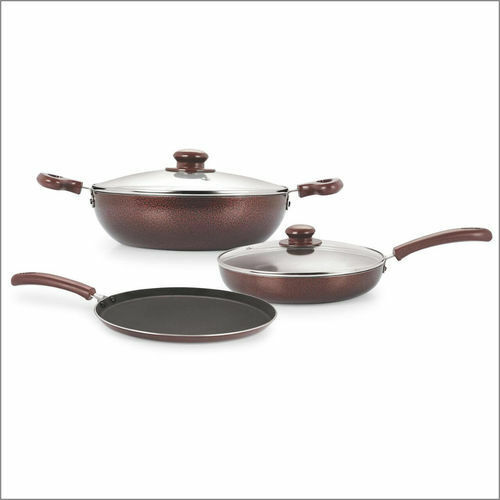 Owing to the wide experience in this domain, we are instrumental in offering Nonstick Cookware Set to our clients. Leveraging the skills of our qualified team of professionals, we are instrumental in offering a wide range of Stainless Steel Cookware Set. We have carved a niche amongst the most trusted names in this business, engaged in offering a comprehensive range of Aluminum Cookware Set.